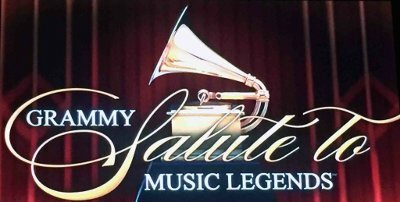 In collaboration with the Recording Academy, "Great Performances" presents “Grammy Salute To Music Legends”, the second annual all-star concert offering a primetime spotlight for the Academy’s 2017 Special Merit Awards recipients. The celebration and tribute concert feature rare performances by honorees and renditions by those they’ve inspired. The celebration, led by Grammy-winning industry icon Paul Shaffer as musical director, was recorded in July at New York’s Beacon Theatre and will air Friday, Oct. 13 from 9–11 p.m. on PBS. (Check local listings.) Historically held during Grammy Week, this is the second time the Recording Academy has celebrated the Special Merit Awards with a stand-alone event and musical tribute. Additional Special Merit Awards honorees celebrated include Trustees Awards recipients: producer, arranger, and songwriter Thom Bell; record executive Mo Ostin; and recording executive, A&R man, and music publisher Ralph S. Peer; and audio inventor Alan Dower Blumlein, who is the Technical Grammy Award recipient. Also honored is Keith Hancock, this year’s recipient of the Recording Academy and GrammyMuseum’s Music Educator Award. Along with never-before-seen video packages celebrating each of the honorees’ contributions to the music industry and our cultural heritage and heartfelt testimonials from the presenters, the star-studded event features performances by Lifetime Achievement Award honorees John Cale and Maureen “Moe” Tucker of the Velvet Underground, Lifetime Achievement Award honoree Shirley Caesar, jazz pianist Stanley Cowell, past Grammy nominee Andra Day, 12-time Grammy winner Kirk Franklin, Grammy Winner Le’Andria Johnson, past Grammy nominee Neal McCoy, six-time Grammy winner Randy Newman, Grammy -winning Living Colour founder and songwriter Vernon Reid, past Grammy nominee Catherine Russell, Lifetime Achievement Award honoree Charley Pride, past Grammy nominee Valerie Simpson, past Grammy nominee Russell Thompkins Jr. of the Stylistics, five-time Grammy winner Dionne Warwick, past Grammy nominee Charlie Wilson, and two-time Grammy winner Dwight Yoakam. There is also a special appearance by Grammy winner Whoopi Goldberg, who accepts for the late Nina Simone. The Lifetime Achievement Award honors performers who have made contributions of outstanding artistic significance to the field of recording, while the Trustees Award recognizes such contributions in areas other than performance. Both awards are determined by a vote of the Recording Academy’s National Board of Trustees. Technical GRAMMY Award recipients are determined by vote of the Academy’s Producers & Engineers Wing® Advisory Council and Chapter Committees and ratified by the National Board of Trustees, and presented to individuals and companies who have made contributions of outstanding technical significance to the recording field.